It is incredible to think that not long ago Cranbrook was just fields. 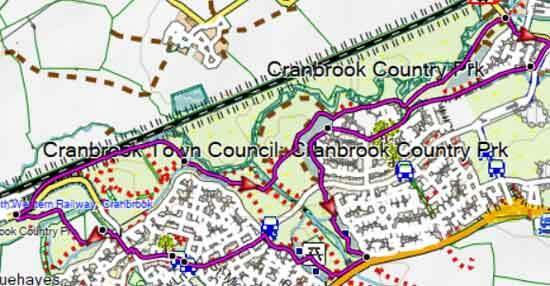 An ideal (dog) walk to explore the paths surrounding Cranbrook - allow 40 mins. 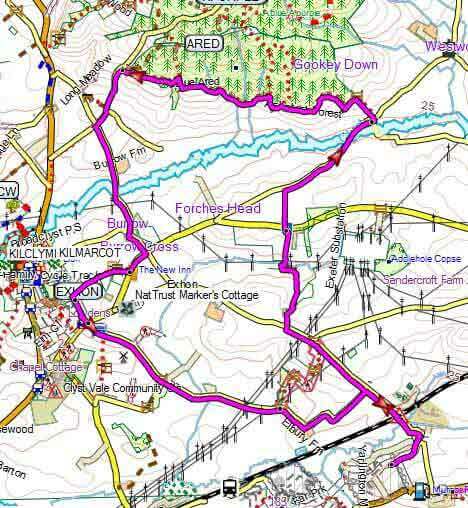 This easy walk explores recently opened paths and the new road to Cranbrook Education Campus and Broadclyst ; just before the school the turn right into an old lane which leads to the old roman road between Exeter and Dorchester. Cross over with care , turn left and near the vet follow the footpath on your right across a field to Rockbeare meaning 'a group of trees for Rooks'. If you happen to be passing the Jack and the Green pub you have 'accidentally' missed the turn by 0.1 of a mile or 2 minutes. 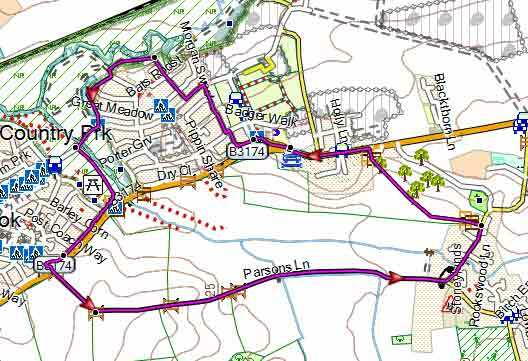 When you join the residential road, turn right, cross the bridge and at the triangle bear right past the Post Office into Parsons Lane. Follow this back to Cranbrook. Unfortunately the walk is not suitable for prams or young children. 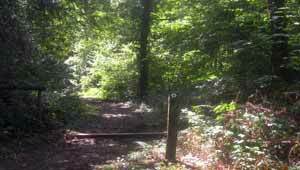 Starting near the new school, this pleasant 3 hour walk takes you past a solar farm into Ashclyst Forest using public and permissive footpaths avoiding as far as possible busy lanes. 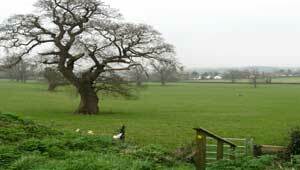 As you skirt Ashclyst Forest using the 'blue trail' there are some magnificent views of Broadclyst and beyond. It returns via the New Inn at Broadclyst and a disused windmill dating back to 1786.